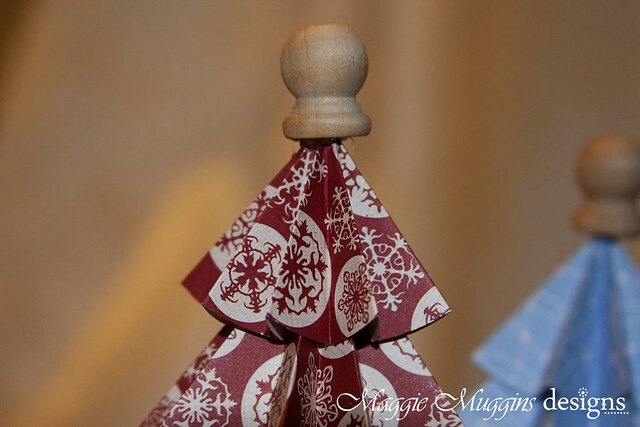 On Pinterest the other day I saw that someone had pinned these labels from my Cookies in a Jar with the question below: "Does anyone know what design this is in the Sihouette store?" 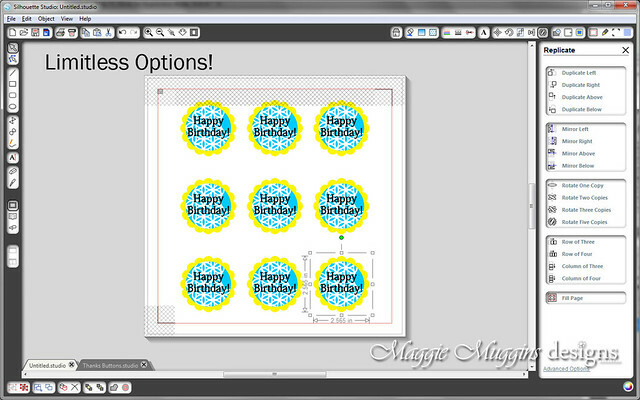 So today I'm going to show you how to make your own Print & Cut Buttons using Silhouette Shapes from their store. 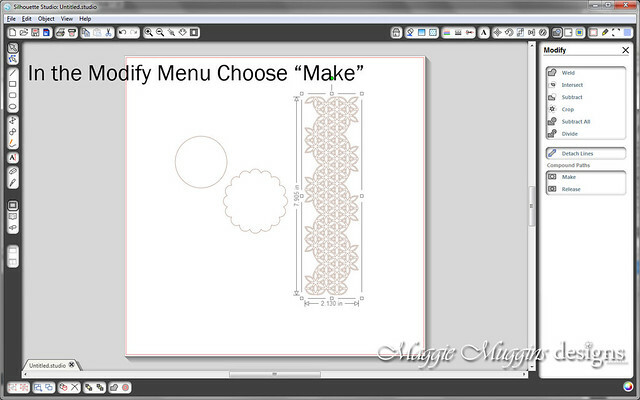 This will show you how to make what is pictured above, but once you've learned the techniques the possibilities with this are endless! 3. 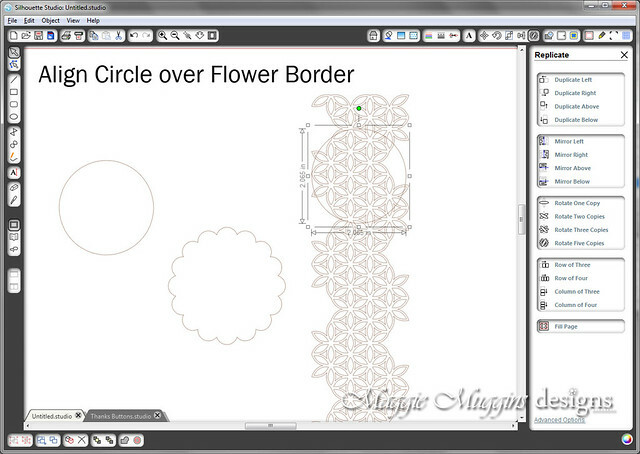 Select the remaining Flower border and in the Modify toolbar under Compound Paths choose Make. (or Object->Make Compound Path) *Note that this has to be a compound path instead of grouped shapes for Step 6 to work correctly. 5. 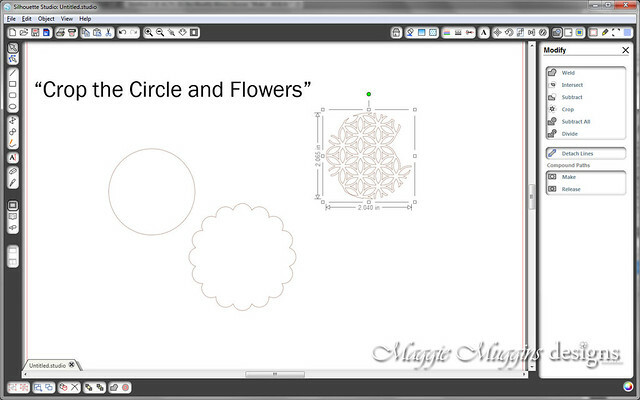 Align the duplicated Circle over the Flowers as you would like it to look. 7. 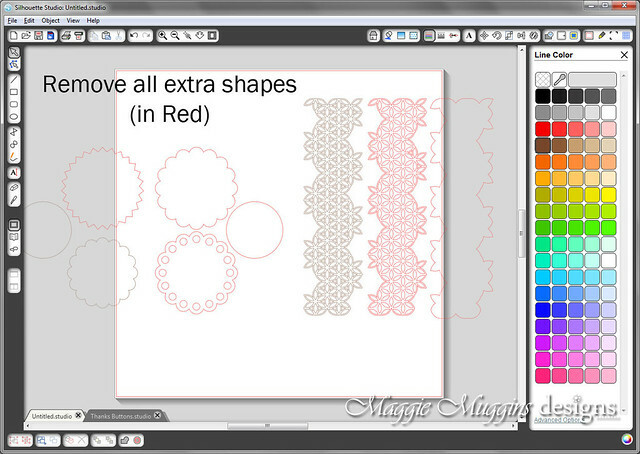 Change the fill colors of the shapes as desired and set line color to none. 9. 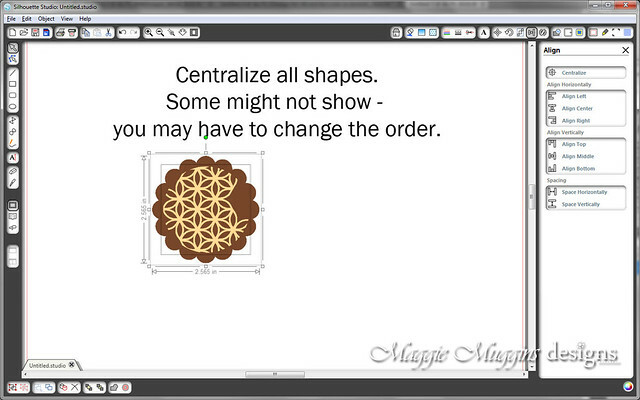 Change the order of appearance of the shapes if needed. 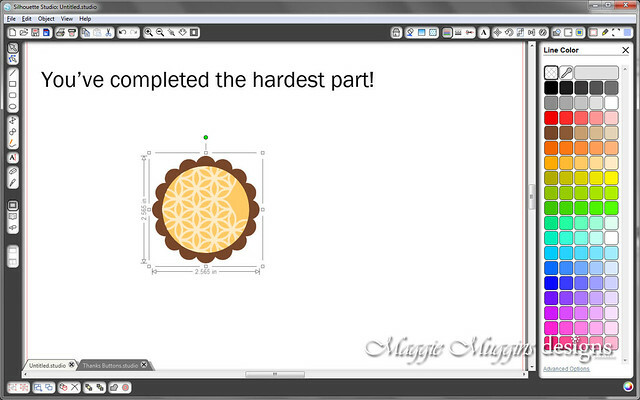 *Basically one shape is on top of the other. If you can't see one of the two circles, you will have to move the other items back until it's all in order. 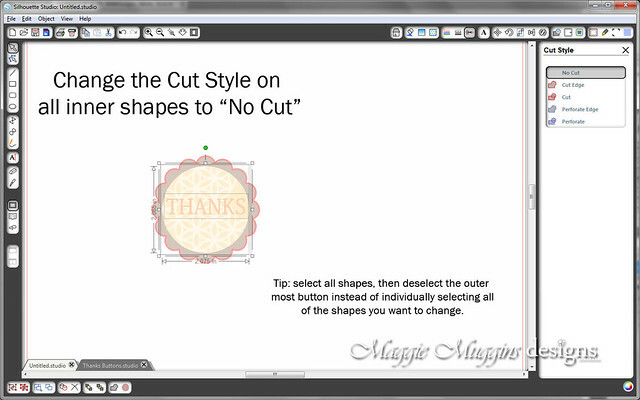 You can do this by selecting one of the shapes, then right-clicking and choosing Send to Back or Send Backward. 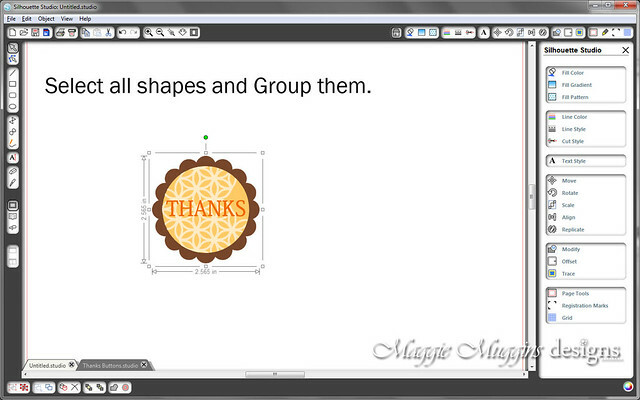 (or Object->Arrange->Send Backward) You can also move shapes forward using the same method. 10. 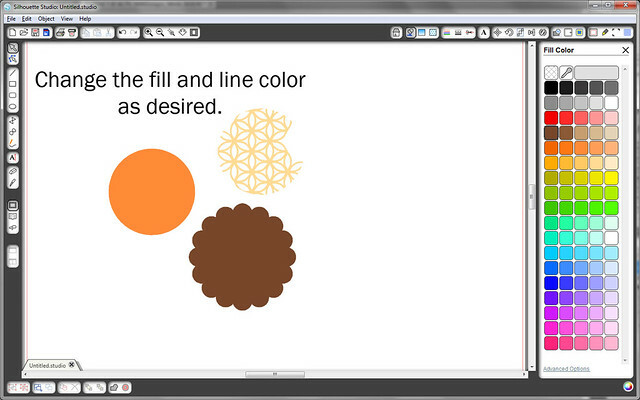 Add text and fill the color as desired with no line color. Center it on the image as needed. 12. 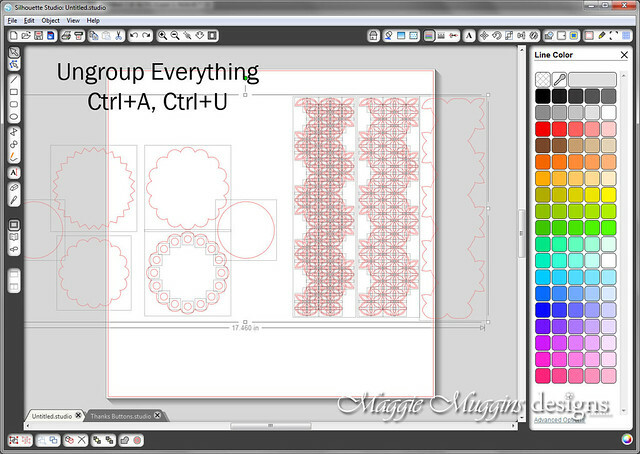 Select all shapes and Group them (Ctrl+G). 13. 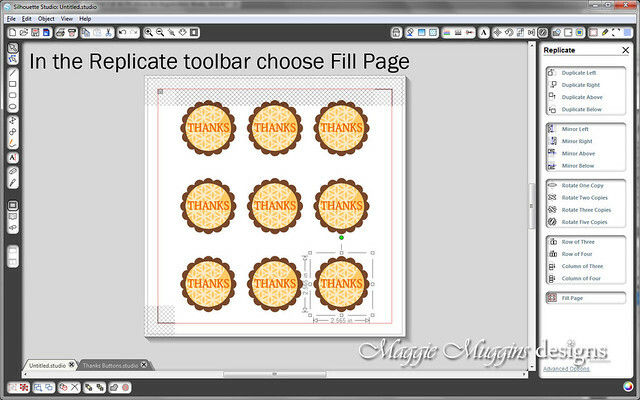 In the Registration Marks toolbar choose Show Registration Marks. 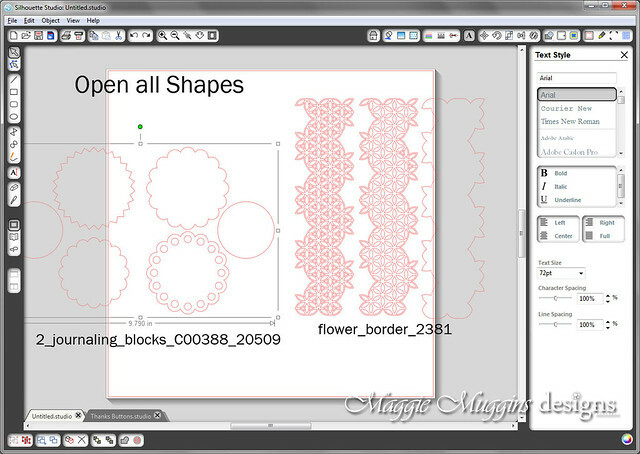 *At this point you may wish to test print and cut before duplicating the shapes and printing and cutting a whole bunch. 14. If you want more than one of these shapes you can duplicate the shape (as shown in step 4) or in the Replicate toolbar you can choose Fill Page and easily duplicate and space the shape nicely over the entire page! 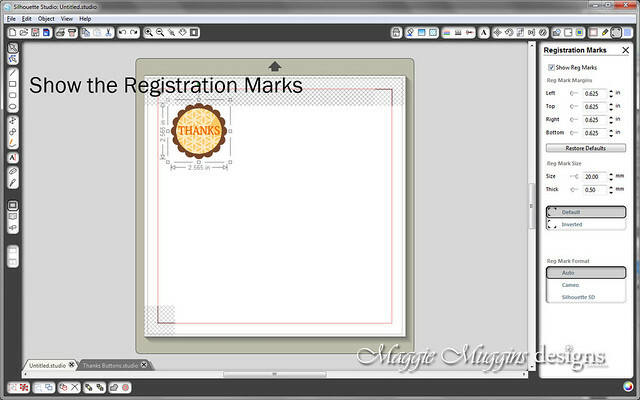 *Note: Replicate AFTER showing the Registration Marks in order to not over-fill the page. 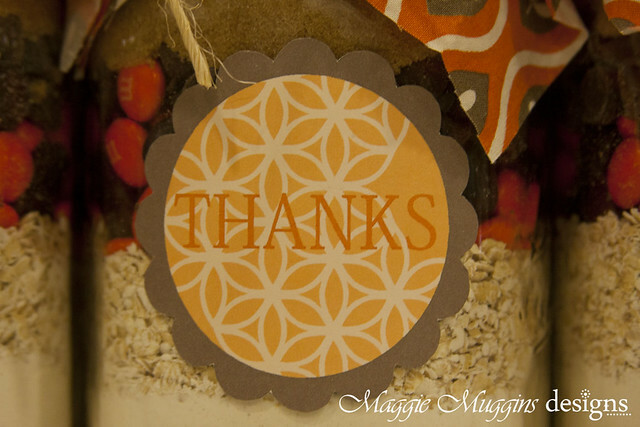 For the cookie jar labels I used White Shipping Labels by Avery (8165) . Basically, it's a full sticker sheet you can print on, but it's thick and good quality. The only thing is it is not water-proof, but that didn't matter to me for this project. 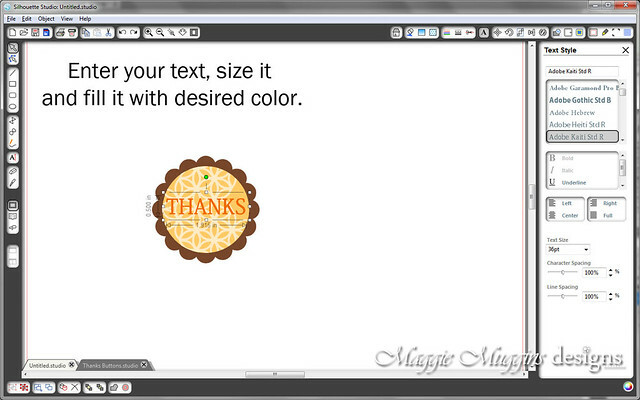 Now you've created this image, you can use it for all sorts of projects. 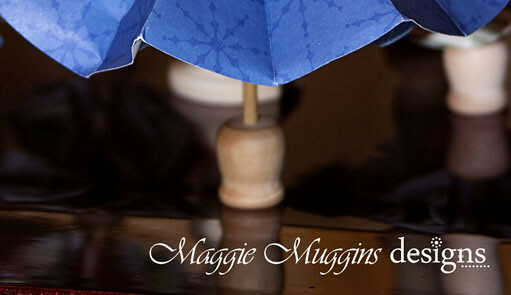 Labels, Birthday Parties, Gifts, and so much more. We have a winner! Random.org gave me #40. Unfortunately my comments are no longer numbered (something I am trying to fix, again) but I counted the comments (and checked it twice) to make sure I got the right one. And the winner is: JENA! I'll be contacting you by email today, Jena. Jena requested the Manti Temple Necklace in Bronze. It's going to be so beautiful. 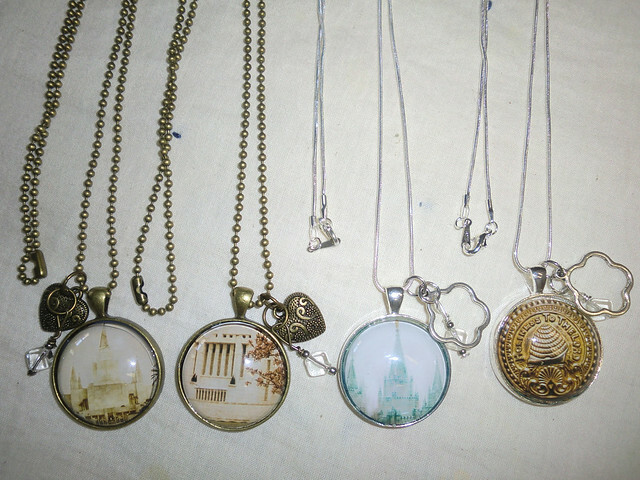 You can purchase your own Temple Necklace at LDS Decor's Etsy Shop. 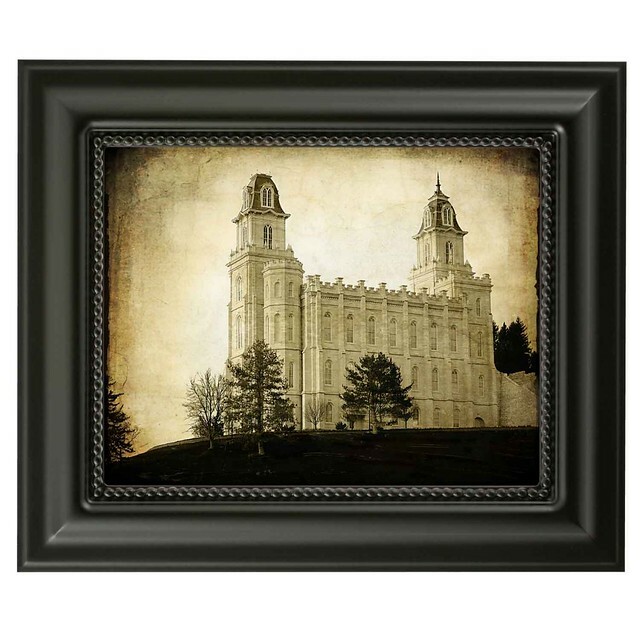 Jena's favorite temple photo was a beautiful photo of the Manti temple in Sepia. 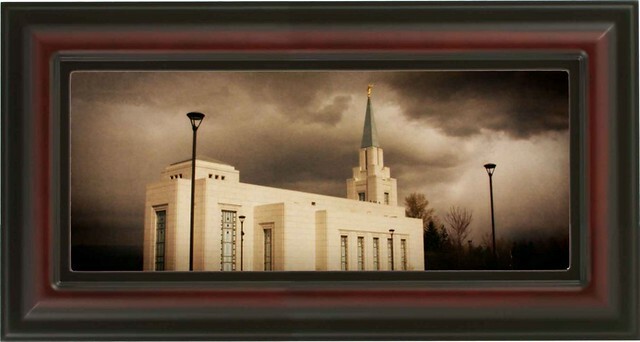 This 16x19 framed temple is only $99.00 and is shipped free anywhere in the U.S. or Canada. 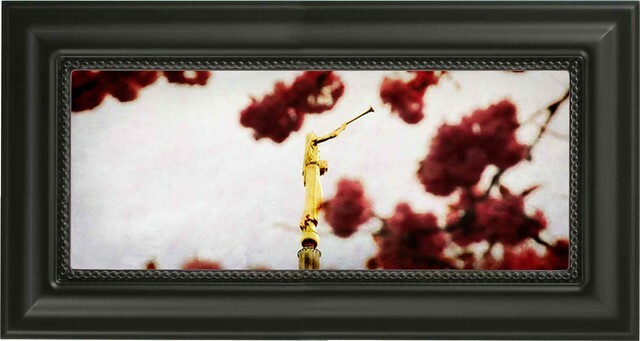 Head on over to LDSDecor.com to see all their other Framed Temples. 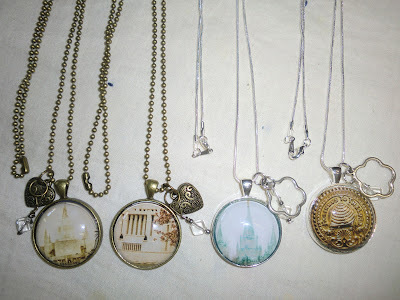 Only a few hours left for the LDS Temple Necklace Giveaway from LDSDecor.com! Go HERE to enter. We made Hot Chocolate Jars for our R.S. 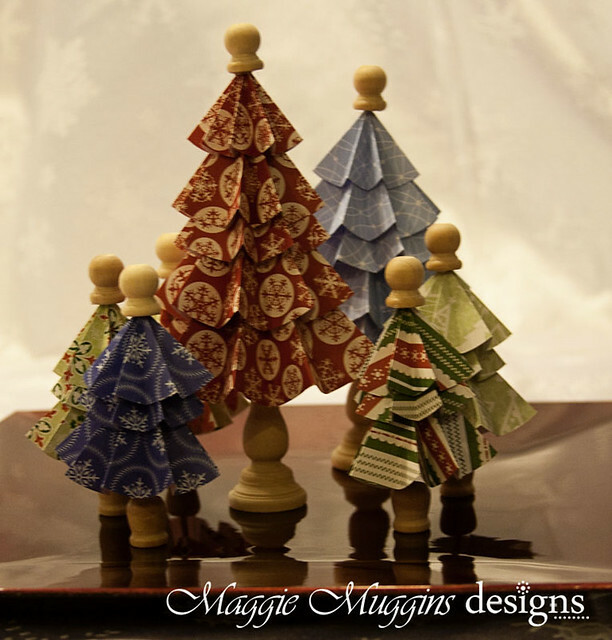 Activity a few months ago, and I have to say they turned out so cute. I used small marshmallows in those ones, and topped them with a peppermint. The little jars I picked up at Joanns for $1 each (with a 20% off total purchase coupon it was an even better deal!). There are possibly other sites out there that sell these, but I haven't looked at all. 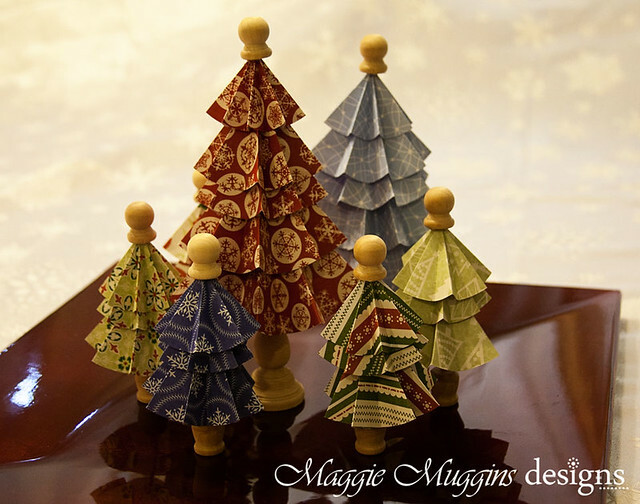 I decided to make some more of them for gifts. But this time I bought the mini dehydrated marshmallows. (I've seen these in spice sections, but you can buy it in bulk at Cash&Carry (a business supply store) here in WA. Then I tried to find Andes mints pieces in red. No luck. 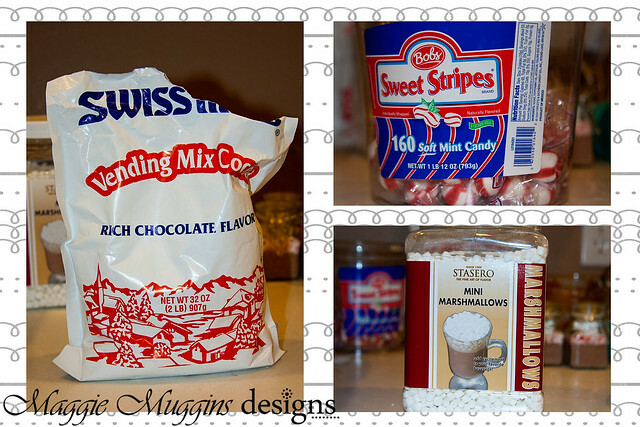 So instead I used my left over Bob's Sweet Stripes mints and hammered them to pieces (while still in plastic). First I tested them to make sure they melted nicely in hot water (they do). 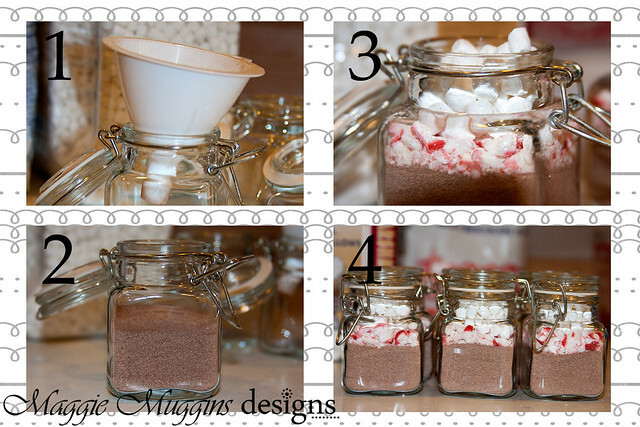 Using a funnel, put 4Tbsp Hot Chocolate mix in the jar. Tap the bottom of the jar to pack down the mix a little. Top with Bob's Sweet Stripes mints spread around evenly if needed. Lastly add approximately 1.5 Tbsp Mini Marshmallows until almost to the top (leaving just enough room to close the jar). 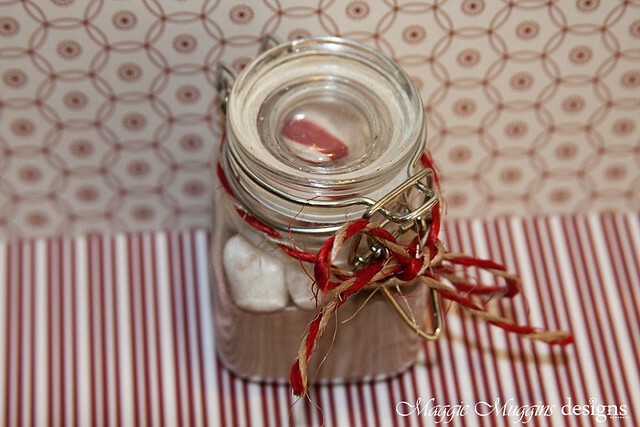 Close the jar, tie with a string or ribbon, and add a label, if desired. 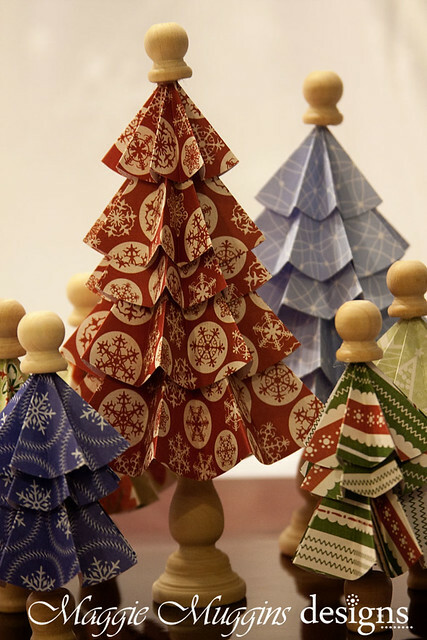 These are really quick and easy gifts that you can dress up with a ribbon, a label, a vinyl decal, or a tag, and give by itself or with a pack of cookies or all sorts of other things. They don't cost that much either, especially with bulk purchases. 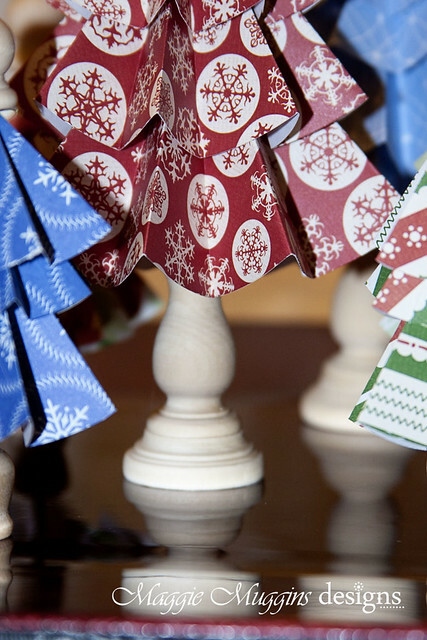 Of course left-over supplies are not a bad thing when it comes to this gift!